There seems to be no end to the list of new devices being released at the moment. 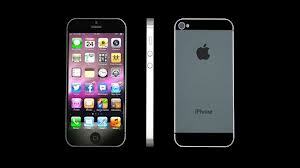 Apple’s latest iPhone has just hit the stores and promises to be the company’s best-selling handset yet. This also follows hot on the heels of the launch of the Amazon Kindle HD earlier in the month and the Google’s Nexus 7 tablet before that. However, one thing that doesn’t get a lot of attention but might ruin your enjoyment of these must-have gadgets is if your Wi-Fi coverage at home isn’t strong enough for you to properly enjoy their multimedia capabilities. As these gadgets don’t come equipped with Ethernet ports (which you have to admit would look quite ugly), you can’t just plug in a cable if your Wi-Fi isn’t up to scratch. So if you are going to invest in the latest devices it is also worth considering investing in the latest home networking equipment, particularly with the growth of HD video. Routers which utilise the latest beam-forming technology are ideally suited for those homes with a number of wirelessly-enabled devices as it can significantly improve wireless range and performance. Now more than ever wireless internet access is becoming integral to people’s lives both at work and at home. As more and more of these new gadgets dominate our lives it is essential that home networks deliver a great user experience, otherwise the next-generation of tablet devices risk being glorified coffee trays. This entry was posted in Consumer and tagged Amazon, Apple, Google, Home network, Routers, Smartbeam by D-Link UKI Blog. Bookmark the permalink.